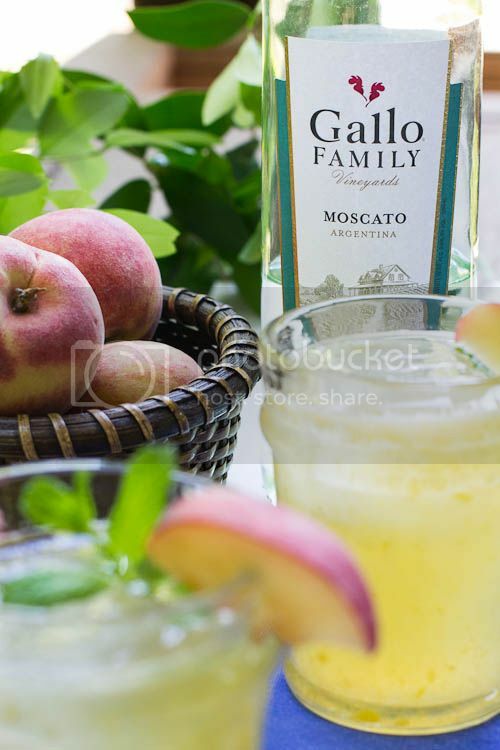 May 9th is National Moscato Day and I’ll be mixing up some Peach-Mint Moscato Cocktails to celebrate using Gallo Family Vineyards Moscato. Moscato wines are both sweet and light-bodied making them the ideal choice for warm weather entertaining. I love a glass of white wine during the spring and summer months. There’s nothing more relaxing and refreshing than to sip a glass of wine on a warm day. But sometimes I want something a little more casual and a little more festive. We southerners do a whole lot of outdoor entertaining during the summer and we need something ultra-refreshing to beat the summer heat. That’s where wine cocktails come in. 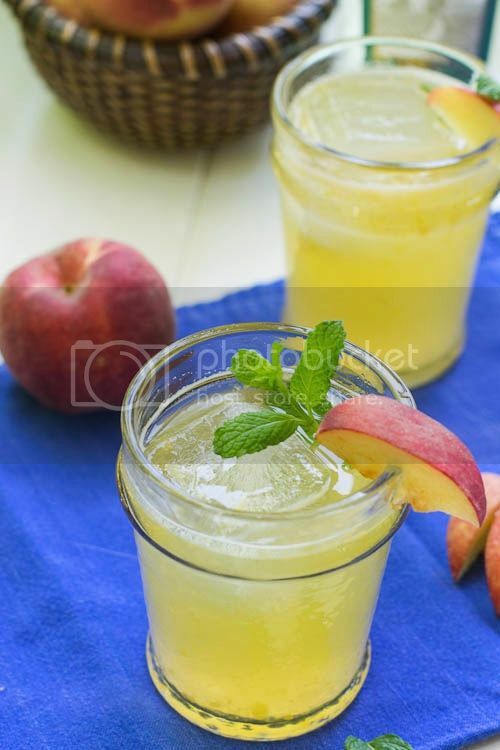 This Peach-Mint Moscato Cocktail in particular is cold, fruity, and revitalizing and is befitting of a pool party, a backyard BBQ, and evening on the porch spent with neighbors, or a more formal summer cocktail party. A wine cocktail is perfectly dressed for any occasion and will be a hit at any summer gathering. Even better, wine cocktails can be served in pretty much any glass and are easy to make in large quantities. 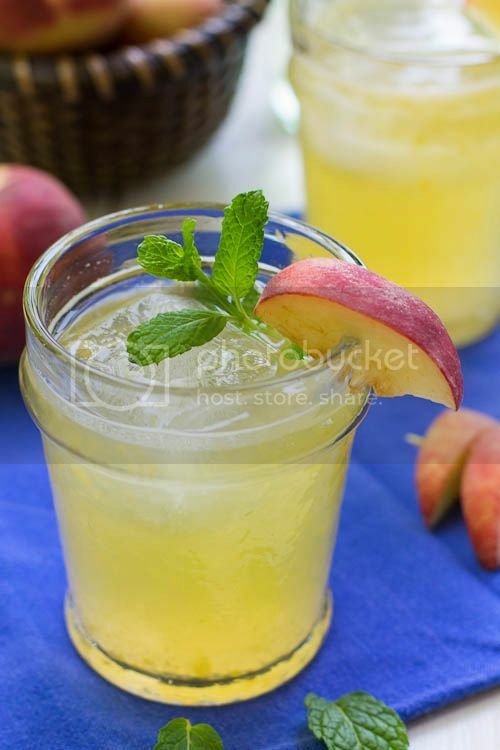 Gallo Family Vineyards Moscato already has wonderful hints of peach and honey so I furthered the summer theme by adding fresh peach puree, rum, a little peach schnapps, and a mint-infused simple syrup. I kept the quantities of these ingredients to a minimum because I really love the flavor of Gallo Family Vineyards Moscato and only wanted to enhance it. In addition to the white Moscato there is also a Pink Moscato with hints of red berries and orange blossoms and a Red Moscato with a bright red berry finish. Which one would you like to try for National Moscato Day? Gallo Family Vineyards Moscato is available for $4.99/750ml bottle at local wine retailers and grocers nationwide. To find a store near you visit Gallo Family Vineyards Website. It is also available online through The Barrel Room. 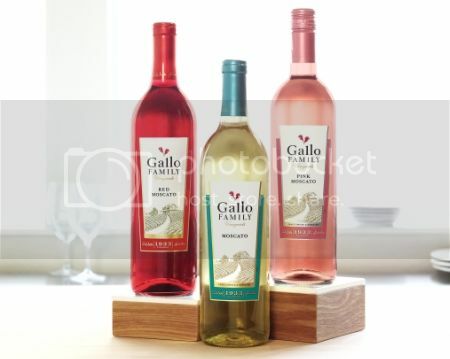 Be sure to join in on the fun May 9th for the Gallo Family Vineyards National Moscato Day Twitter Party including a virtual toast at 7pm ET/4pm PT. Just tag your tweet with #MoscatoDay and @GalloFamily. Hosts of the Twitter Party are @copycatrecipes and @ModernDayMoms. There will be 5 $100 Visa Gift Cards given away so don’t miss it! Must attend the party to win. Winners announced throughout the party. RSVP: http://www.copykat.com/2014/05/02/pina-colada-moscato-wine-cocktail. Official Rules for the Twitter Party. And while you’re celebrating Moscato Day, Save your Gallo Family Vineyards corks to help raise up to $50,000 for the Meals on Wheels Association of America. Click the link to find out how you can help feed the hungry. Make simple syrup. Place sugar, water, and mint leaves in a small saucepan and heat, stirring frequently, until sugar dissolves. Let cool. In a pitcher, stir together all ingredients. If desired, pour through strainer to remove peach pulp. Serve with ice and garnished with mint. 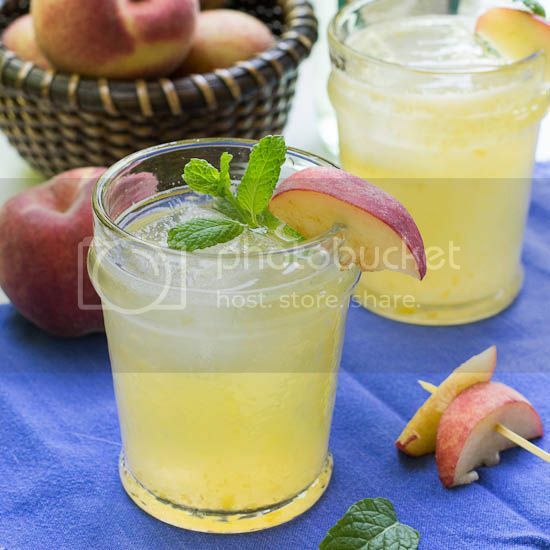 This entry was posted in Cocktails, Sponsored and tagged peach, peaches, wine. Bookmark the permalink. Delicious cocktail Christin…I love moscato and adding peach and mint just sound heaven…so refreshing! These cocktails look fabulous! And so refreshing! I wish I didn’t have to work today and I could take one or two of these out on the balcony! They are extremely refreshing Lindsey! No fun working on the weekend. These cocktails look amazing and super refreshing! I love Moscato wines – one of my most favorite types of wine! Sweet, fruity, perfect for a dessert or with cheese!